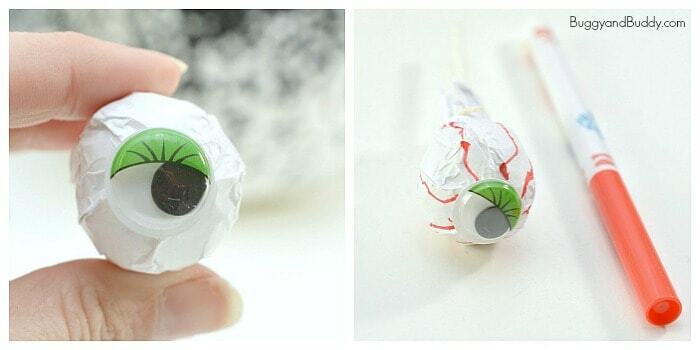 These eyeball lollipops make a super unique DIY Halloween treat. 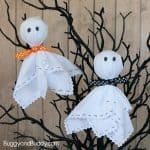 Kids can make them as a Halloween craft during a Halloween party or make a whole batch of them to give out on Halloween night. 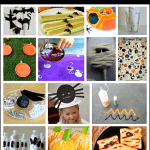 This post also contains a free Halloween gift tag you can attach to your eyeball lollipops. 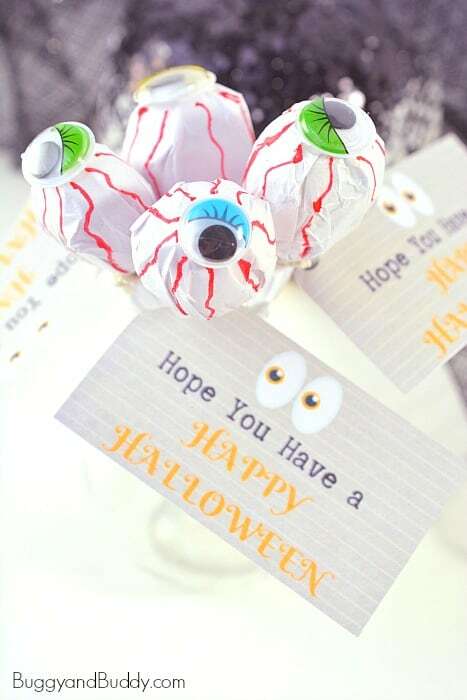 If you’re looking for a unique Halloween treat, you’ll love these DIY eyeball lollipops! 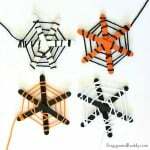 They’re super simple to make and are sure to add a little creepiness to your Halloween. 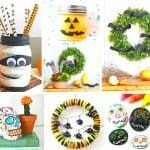 They make a fun Halloween craft for kids to make during a classroom party, and they’d also be great to make together as a family to give out on Halloween night to all those trick-or-treaters. 1. Cut a piece of white tissue paper into a large square. Fold it twice to make a thicker square. (This will help to cover up the wrapper of your lollipop so it doesn’t show through.) The size of your square will depend on the lollipop you are losing. You’ll have to play around with it a bit. 2. 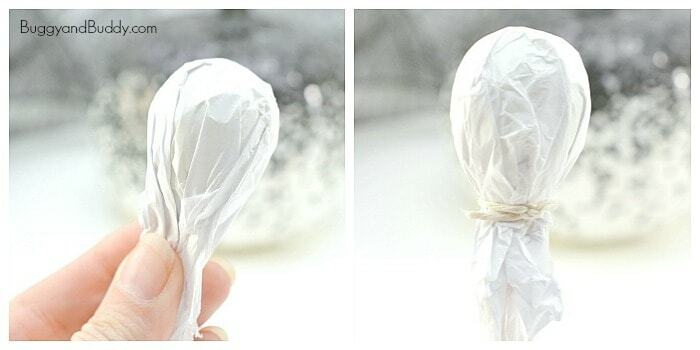 Place the folded square of tissue paper over top of a lollipop. 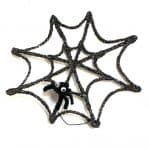 Secure it by tying a piece of string or yarn tightly at the base of the head of the lollipop. (You could also use a small rubber band.) 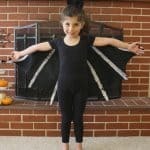 Trim off any excess tissue paper from the bottom portion of your lollipop to even it out. 3. 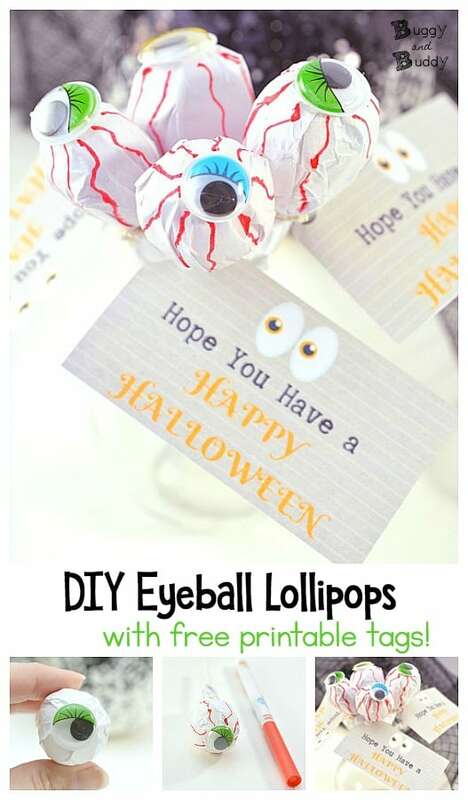 Attach a large googly eye to the very center of the top of the lollipop using a glue dot or hot glue gun if you don’t want to wait for it to dry. You could also use liquid glue. 4. 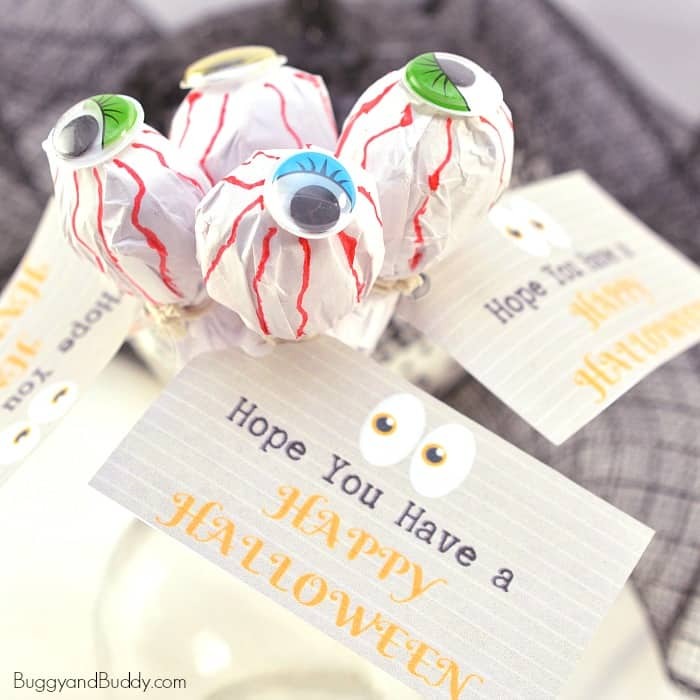 Use a red marker to draw squiggly lines from the googly eye to the base of the head of the lollipop. 5. 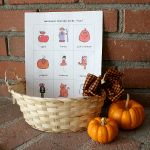 Optional: If giving as a gift, you can add a Halloween gift tag to your eyeball lollipop. 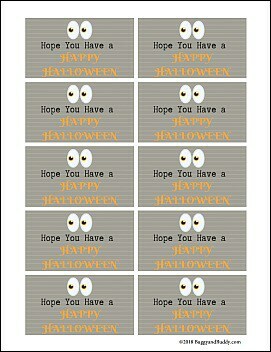 Print out the free Halloween gift tag and cut out. Punch a hole into one corner of the gift tag. Attach the gift tag to the lollipop by tying it on with a piece of string or ribbon. 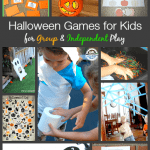 Be sure to also check out some of our favorite Halloween books for kids!